We help nonprofit agencies and foundations navigate the complexity of a changing landscape and come out on the other side achieving more for their clients and constituents than they ever dreamed possible. 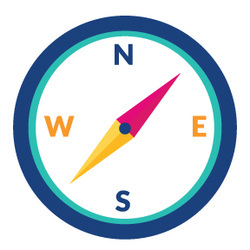 Whether it's a pressing performance gap that needs to be addressed, a transition to new leadership or just making sense of the increasing complexity of today's civic-sector landscape, Portage Partners Consulting specializes in re-designing and re-energizing the strategic planning process for nonprofits and foundations. We help leaders develop plans for the future with their board, clients, funders and staff that do more than sit on a shelf. Learn how we can help with the development and implementation of your strategic plan, operational plan or annual report. We can also assist when you need to bring the voices of stakeholders into a conversation about budget development or major program changes. "This process has been a HUGE SUCESS for my organization. My board is thrilled with the result, my staff is completely bought into our direction and next steps because they helped build it and we are now in a strong position for the next five years. Meredith was a true thought partner with me and the planning team. As we move forward into implementation, she has been there every step of the way, which has been invaluable to me as a new leader of this organization."